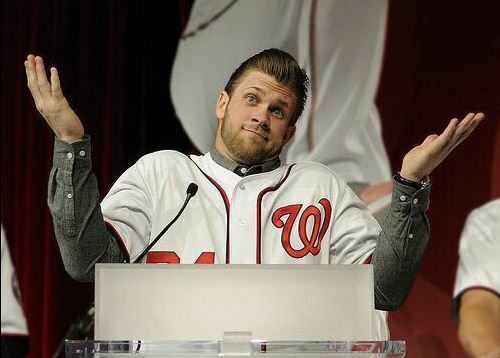 Did Bryce Harper Diss the Washington Nationals Fans? The Washington Nationals are five games behind the New York Mets in the standings, but the fans aren’t acting like the team is in a pennant race. Bryce Harper was asked about the fan atmosphere at home, following the 8-5 loss today at home to the Mets. Bryce Harper when asked about the atmosphere of the crowd at #Nats Park: "I mean, they left in the seventh. That's pretty brutal." The New York Mets stand in first place at (76-61), while the National sit several games back at Washington Nationals (71-66).